Did you know that the air in your home, the very air you breathe, will travel through the air ducts in your home at least six to seven times? This means that keeping the air duct in your home cleaned and in proper shape is important to ensure that you sustain good health. Air in itself can carry dust and debris, especially when you live in Arizona. As time passes, some of the dust, the debris (and maybe even mold), etc. will start to embank in your air ducts, contaminating any and all air that passes through it. Once you have decided to get your air duct cleaned, you should make sure your decision is the correct one. Here are some things you should consider to help you in the decision making. 1. Can You Go at it Alone? This is the most important question to ask yourself before you go about getting your air ducts cleaned. Air ducts are typically higher up in the house and it is difficult to clean them on your own. Also, sometimes the amount of dirt and the state of the air duct is so futile that it would be a waste of time and effort to try and accomplish it on your own. This is a job that is best left to professional air duct cleaners. Considering the cost of the service you are about to acquire is important. 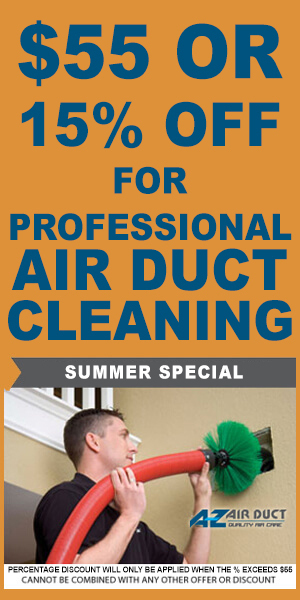 People can judge the quality of the service they are getting from the duct cleaners by the cost that they charge. Beware though, too high a cost for cleaning of an air duct should also put you off. Before getting your air duct cleaned, you need to consider your budget and choose a company accordingly. 3. Are the Professional Cleaners Competent? There is no point of an extensive cleaning exercise if after a few months you realize that the cleaning was inadequate and more will need to be done again. Hiring professional services is not a joke, if you hire air duct cleaners, you need to make sure that they are competent, professional, and able to provide you the services that you need. Simply cleaning an air duct for example where there is mold in it is not enough if the mold is not eradicated completely from the air duct. 4. What are the Dangers of Air Duct Cleaning? The first rule of business is looking at the drawbacks and potential risks of a plan before giving it a go ahead. Before getting the air duct cleaning done you need to consider the risks it could possible pose if it was carried out negligently. For example, a careless cleaner can, during the air duct cleaning, permanently damage your heating and cooling system, thereby giving you a larger energy bill at the end of the month and giving you hefty A/C repairs to do. Similarly, an inadequate vacuum collection for example could instead of cleaning the air duct spread a greater amount of air contaminants, dust, and dirt etc. in the air. These are some of things that you need to consider before you get your air ducts cleaned by a professional. 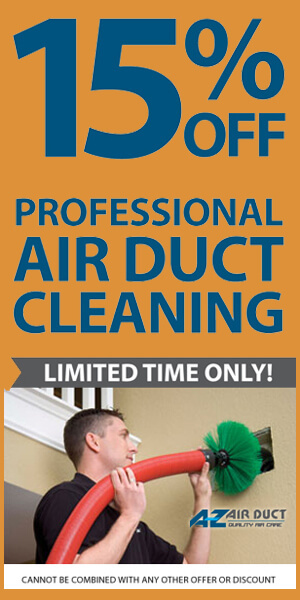 To get the best professionals in air duct cleaning, feel free to get in touch with us.